If I could make $2000 a day with an eCommerce website, that would truly be a dream come true. The Fast Cash Club claims that their system could have you earning that much or more–working less than an hour a day–starting today! But, just how likely is it that you’ll be making that kind of fast, easy money? I purchased this system, and it’s not realistic at all. You can find out why in my full Fast Cash Club review below! What Is The Fast Cash Club? What Does The Fast Cash Club Offer? The Fast Cash Club is a new make-money-online system that is currently being heavily promoted. It was created by a man named John Harris, costs a one-time fee of $37, and is accessible at FastCashClub.co. The name John Harris is actually a pseudonym, so we really don’t know who created this system. ***Don’t confuse this program with one that came out in 2016, also called Fast Cash Club at FastCashClub.com. This was an auto trading program, widely considered a scam, and is not the system I’m reviewing here. The Fast Cash Club is a system that was developed to make money with an eCommerce website on Shopify. They claim it is the only drag and drop ecom profit system. According to the sales video, 117 people were given this system and they all had amazing profits! He is now only going to let 20 more people buy the Fast Cash Club system because “It’s just too risky to draw that much attention”. This is just marketing hype and doesn’t look good for the legitimacy of the system. Creators of quality online marketing programs don’t use tactics like this to sell their product. They keep talking about profits, however, if you notice in the screenshots above, these are all sales figures. So you have to subtract the cost of the merchandise and all of your shipping and handling expenses to see what the actual net profit is. Let’s assume the average eCommerce gross margin of 40% when purchasing your items from your supplier. So if you’re selling an item priced at $100, $40 is your gross profit. Let’s say that the expenses related to the cost of processing and shipping are 50% of your gross profit. So your net profit on your $100 sale price is $20 or 20%. Taking a figure from above, let’s see what the net profit would really be: $4399.34 x 20% = $879.87. That’s a far cry from the profit claimed by Fast Cash Club! However, that’s not all you need to consider–you haven’t taken into consideration any cost to get traffic to your store to begin with. If you’re going to start making sales immediately, as the system claims you can, you will have to use paid methods to get buyers to your site. Paid traffic can cost hundreds and thousands of dollars each month, even for the most successful campaigns. So it’s possible that these costs can eat up most, if not all, of the net profit above. When you run actual numbers, it’s easy to see why I feel the “profit” figures they keep flashing in the sales video are not impressive and you need to be wary. Throughout the rest of the sales video, you really don’t find out any more about what Fast Cash Club does to make huge profits on Shopify. In order to see if the system really does have some special techniques or features, I purchased it for the $37. Oberlo–A dropshipper with a marketplace of products that they ship to your customers for you. Each one of these tools can be a valuable resource for your online store. However, none of these are from Fast Cash Club, they are available right from the Shopify App Store–you’re just getting a link to each of them. As I went through everything the guide offered, it appeared that there was a lot of information there. It’s a decent overview for someone who has never sold products online before. However, all of this information is available for free from Shopify! I found Shopify’s Ecommerce Business Blueprint: How to Build, Launch, and Grow a Profitable Online Store with a simple Google search. Not only does it contain the same information, but it is more detailed in many areas. While I have enough experience to see through the marketing hype of programs like this, beginners who buy Fast Cash Club are expecting to see the results claimed. Working a year or more without seeing any sort of profit is very different from expecting to make $2000 a day after just 30 days! Some information is out of date as well. For instance, some of the information referenced is from 2016, and the Shopify pricing has not been updated. This 15-page eBook is simply a shortened version of the main guide. I did not find any tips or information of value in this shortened guide. This 4-page eBook has a title page, a cover page, and 1 1/2 pages that consist of 10 tips for starting your eCommerce store. It’s very little information made to look like it’s a lot more. This 5-page checklist gives an overview of the things you need to have in place in order to start selling products on Shopify. Again, it’s information that you can find on Shopify for free, and there’s basically 2 pages of information in the whole eBook. In my opinion, the only part of the Fast Cash Club system that has any value is the Shopify Main Guide. But even the information that this provides is easily found online for free. Not only was there nothing in this system to justify claims of making big money fast and easy, the guide even tells you that is not a likely possibility! This upgrade is supposed to give you your own Shopify store five times faster and make you five times more money than the basic system. 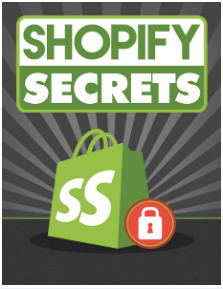 You are supposed to get VIP training and insider eCommerce secrets with Shopify. Other than more marketing hype, you’re told nothing else about what this upsell can do for you. Considering the poor quality of the original system that I purchased, I saw nothing to convince me to spend another $197. Supposedly they are only selling the original system to 20 people, and now the Gold Package is only offered to those 20 people. They also claim that I’ll make $2000 a day with my original system and up to 5 times more with the Gold Package. But now they want so much to have me purchase it, that they’ll cut the price in half! Doesn’t make any sense to me, and I passed at the discounted price as well. Other than more testimonials and big profit numbers, that is about all the information you get. I have enough experience with programs like this to guess that this upsell features tips about dropshipping and various ways to drive traffic to your store–nothing that would be worth $297. So I passed on this one as well. ~ Misleading and Unrealistic Profit Claims–As stated above, the numbers used as proof of profits are actually sales numbers. In my opinion, this is a deliberate attempt to make naive and inexperienced people believe they can make much more money than is possible with this system. ~ Ridiculous Time Expectations–Working only 30 or 60 minutes a day? I’m not an expert at selling products online, but one thing I know for sure is that it takes a lot of time and hard work. No one is going to open a Shopify store, work 30 minutes a day, and make thousands of dollars–it just doesn’t work that way. They also don’t discuss the realistic costs of paid traffic, which can be hundreds, even thousands, of dollars. There’s no way you will start making sales quickly without paid traffic. ~ Fake Testimonials–The testimonials shown in the videos are not real, and they use paid actors. Some of them I recognize from the sales videos of other make money online systems. This man is a paid video spokesperson, and also had a gig on a program I reviewed recently, AZ Sniper–which I did not recommend. This man is a paid video spokesperson with Fiverr. He has also been featured on other MMO programs that I have not recommended. ~ Low Quality Training Materials–If you’re going to buy a system, you would expect it to contain information that is worth buying and not readily available online. The materials that you’re given with the Fast Cash Club system are not unique and not worth paying for. I could recommend the original system for $37 for beginners who aren’t at all familiar with Shopify. But when they sign up for their storefront, they’ll realize that everything is available there. I did not purchase the upsells. However, with all the other red flags and poor information, I feel confident in saying that it’s unlikely they are worth the price that is being asked. Here at Build Your Early Retirement, we give The Fast Cash Club a rating of 2 out of 5. I don’t recommend that you buy this system because it’s not going to make you fast, easy money with little effort as claimed. The Shopify overview does have some decent information that beginners could find useful. But anyone with experience will not find any value with this system. Interested in learning how to make money online with affiliate marketing? It’s one of the lowest cost ways to start an online business and easy for a beginner to start! If you’d like information on my #1 recommended program, you can read my full review here. It’s a legitimate platform, and you can experience all of its features with no credit card required. Do you have any experience with Fast Cash Club or other make money online programs? If so, we’d love to have you share them below along with any questions you may have! Wow this was super informative. Shopify has always been one of my favourite e-commerce platforms to use! It’s very easy to navigate – interesting how you put features on mail chimp etc being able to be used in conjunction with shopify which makes the process of selling online easier. The fact that Shopify does so much to help you be successful is one of the reasons why they are so popular. There’s so much available information online that it doesn’t make any sense to spend money for information that’s already at your fingertips. Hey there! Thanks for sharing this important information with me about the Fast Cash Club. I always hate how they use fake testimonials to try and make their systems look credible. I also like how you pointed out the difference between sales stats and profit stats. These sorts of systems take a lot of ads and other paid methods to get traffic to their site which takes away from the bottom line. So in actual fact you are making less than what they what they make it seem like. You’re welcome! Shopify is a great platform for anyone who wants to sell products online. But it takes time and effort, just like any online business, in order to be successful. A lot of people look at the big money that’s flashed across the screen and don’t have the experience to understand what those figures actually represent. These types of programs are targeted toward beginners who won’t see those types of details. Then when they buy the program, they’re willing to pay money for paid traffic because they think that they’ll have thousands of dollars a month coming in to cover it. Unfortunately, that’s how people can lose a lot of money with systems like this. Thank you for taking the time to stop by and comment! Wow! I am sure glad I didn’t come across this one when I was looking for ways to make money online. I would have been out at least the $37! I have gotten to the point where I consider most programs that tell me I can be making this much money this quickly a scam! There are so many out there that a person doesn’t know where to go or who to believe anymore! Wow, too, on the upsells! Ugh! I am so glad you wrote this article. I hope lots of people read it so they can steer clear of this one! The attraction of easy money is so alluring. So many of us work so hard and have nothing but bills to pay at the end of the day. That’s why these “get rich quick” programs sell so well—we are willing to try anything to help us out and these people know it! I am so glad I found your site a few weeks ago and have read several of your reviews. Your site is a blessing! Keep up the great work on exposing these ridiculous sites that want to make money from the already poor and over-worked people who seek relief! I’m a wife and a grandma, too, who is raising one of my little angels (most of the time, like yours!). Thanks again for sharing this information! I’m so glad you’re finding my reviews helpful–I also would’ve bought into this system years ago! The people who create these types of programs target naive beginners who really believe they will be able to make thousands of dollars working a half an hour a day. They lose money and end up worse off than when they started. The sad shame is that a lot of them will swear off making money online, but with a quality program they could have really made their dreams come true and make a living with an online business! Thank you for visiting my site and have fun with those little angels! You are a life saver. The post gives clear difference between the stats. I may be wrong but can’t I get traffic with SEO rather than paid ads? I have already dreaded the online money making platforms and your review is clear enough for me so I will book mark your website in order to get updates and reviews. You can definitely get traffic with SEO, and that’s the best because it’s free! However, it can take months or longer before you get enough traffic to start making sales, especially in a competitive niche. Fast Cash Club is promoting that they can make you a lot of money starting in the first 30 days, which is only possible with paid traffic. Anyone who is selling online and has purchased inventory is anxious to make sales and start seeing their money be recouped. So many online sellers do use paid ads to drive traffic faster. Also, those whose products are trending at the moment may need to use paid traffic because they don’t have the time to wait for search engines to find their site. Sellers who use dropshippers are more likely to try SEO because they haven’t put out the cash for a physical inventory. It can be easier to handle the monthly costs until the sales start coming in, especially for products that are not super trendy. Fast Cash Club, the name itself seems like a fraud. Fast cash is not easy to find and they are using the word. If there’ll be such thing as fast cash then a lot of people would be rich by now. I like the way you point out that this system’s author only copied contents from a free post of Shopify. Do you think Shopify would care to stop the Fast Cash Club owner from using their name? I mean, can’t they see that this guy, John Harris, or whoever he or she might be, is just using their brand name to fool people for his own gain, shaming their name. Anyway, thanks for this review. Good guidance. It’s likely Shopify won’t mess with any program like this. The types of systems only last a few months or so in general until enough people know that they aren’t producing results. Then the website is shut down and just reinvented a little bit into the next latest and greatest system that won’t work either. It’s a shame, but I hope people read reviews whenever they look at make-money-online systems. It can save them a lot of time and money in the long run! Thank you for exposing this way of earning money! I would hate to see my my loved ones fall for such a thing when they would be simply trying to make money. There are far too many websites out there claiming unrealistic goals, and the more websites like yours to expose them the better! You’re welcome! One of my goals with Build Your Early Retirement is to be sure that anyone who’s looking to make money online has the information they need to make good decisions. Hopefully they’ll be able to steer clear of scam type systems and avoid losing money! It always infuriates when these companies make these what are called false claims. It kills me that people spend money on these products that claim fast and easy money. Also the false testimonials are garbage. As you can tell Im sick of all this stuff going on when there are actually legit companies that struggle because they are honest. I understand your frustration and anger. The people that these programs target are naive and inexperienced, and they don’t have the knowledge to understand why the claims can’t possibly be true. As I’m watching a lot of these sales videos and seeing what the systems actually consist of, I get very disgusted because I know people will lose a lot of money trying to make them work. All we can do is keep spreading the word, if it sounds too good to be true, it probably is too good to be true! I’ve heard about the fast cash club, but something just didn’t sit right with me, though. I mean giving it away and 17 people are already making 2,000 a day in just 30 days? Seriously! You know that would mean that they are making over 700,000 a year. Plus if you multiply that by 17 it means all those people have generated 119 million dollars. It looks to good to be true to me, though! And they just gave it away? However, I am interested in dropshipping though. Do you have any recommendation for it? I have heard of Salehoo, but not sure if they are worth it or not. You have good instincts for this business–if something doesn’t sit right with you, listen to that feeling! I do recommend both SaleHoo and Shopify for starting an eCommerce store, and you can use dropshipping. One huge service that SaleHoo offers is a wholesale supplier directory. The companies in this directory are vetted to ensure they are legitimate suppliers. If you’d like to read more about it, here is my review SaleHoo–Why It’s The Best For Finding Wholesale Suppliers. Thanks for the review about Fast Cash Club, bring awareness to the online community, I would have pass them right up it looks like I know one of those guys, I know personally you can’t make money that fast online, it takes time and patience to build an online business. Thanks for point out stats and profit stats, I don’t like online scams, if you got me once you will never get me again, its a wonderful thing that you are promoting Wealth Affiliate as a credible online business. I don’t know much about shopify, but I will look into this as well as you said they are a good platform to sale products online. Shopify is a good platform, and there are a lot of people making money with it. But they’re working hard and profits did not come easy–there’s no way it’s the get-rich-quick program that Fast Cash wants you to think it is! Good luck with your eCommerce business and thanks for stopping by! Thanks for bring an awareness of online scams, for us who would have been taken captive by their schemes, I like how you pointed out sales stats, and profits stats, they just don’t add up. There are so many online scams out there that are not credible, I personally know it takes patience and time to build an online business, I won’t be fooled by this get rich schemes, if you look at the guys that offer reviews I think I saw them on YouTube. I also like how you promoted Wealthy Affiliate how you can start a business online free and then if you decided to join its a low monthly cost, you can’t beat this deal. I don’t know much about Shopfiy but I will look this up since you said they are a great platform for anyone who wants to sell their product online. It’s good that you know an online business takes time and patience to build–the right expectations are crucial to making a success at it! Shopify is a great platform for selling products online, and I also recommend SaleHoo. SaleHoo has an online store, but also a wonderful wholesale directory that is full of legitimate wholesalers and dropshippers. You can read more about it at SaleHoo–Why It’s The Best For Finding Wholesale Suppliers. Always be wary of that shiny object, get rich quick schemes are just everywhere and people should be careful when looking into stuff like this. Running an online business is far from easy and you have to put in the work to see the results. That’s true with just about anything. Having the name Fast Cash Club alone seems like a red flag to me. To those of us with experience, the name Fast Cash Club is definitely a red flag. Unfortunately, to those who are naive or who have little experience in making money online, it looks like a great opportunity! My hope is that anyone interested in it will take the time to research and read reviews before jumping in. Then they can look at what the system offers with a different perspective instead of just looking at the marketing hype. Thanks so much for taking the time to write a great article to help many to be well informed at the time to pick a way to build up an online business as an early retirement plan. I’m at that point, and I’m looking to find a way to start an online business that will help me to keep having an income in the next years. I read the information from Fast Cash Club and I wanted to read more about it before I decide to sign up for it, your article is well written and gave me the information I was looking for. I’m going to take a look to the option you recommend on your article, Wealthy Affiliate. When I started my online business, the goal was to have a stream of income that I could manage anywhere and retire early. If I hadn’t found Wealthy Affiliate, I’m not sure that I would’ve been successful. Even if I had been able to learn everything on my own, I know I’d have been burned out without being able to get help and encouragement from their great community. It takes time to see results, and that can get discouraging without having mentors who can help keep you motivated. In fact, I wrote a post that has the kind of the WA success stories I would read to help me see what was possible if I kept working at it–10 Internet Business Success Stories–Wealthy Affiliate Works! Hello and thank you for this wonderful review. There is way to earn 2000 bucks a day and it can not be done OVERNIGHT. Anyone that actually promises you something like is a obvious scammer. The famous 37$ many of these products have. It must all be coming from the same person. Is this ClickBank product? I would not be surprised if they would actually host product like this on their network. I am really glad you actually exposed their fake testimonials and showed people not to get tricked. I support your effort. I am doing the same in a way. Yes, $37 seems to be the number people must be willing to pay to try these programs out because that’s how much the majority of them cost! This is a product promoted through Clickbank, so there is a 60 day free trial. I actually think a lot of Clickbank’s products are good, but not in the MMO niche–way more bad programs than good. Glad to hear we’re both fighting the good fight and trying to help people avoid the scams out there!